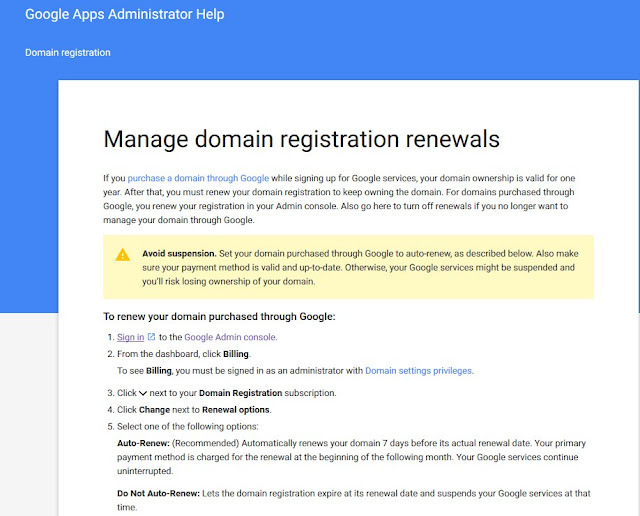 I thought I would write a post on renewing a domain bought through Google. Blogger has an option where you can purchase your domain through them. After you buy your domain, you are good to go for 1 year. After that, you will receive an email about renewing. 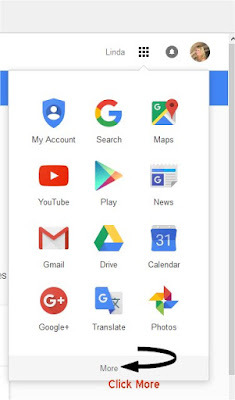 It looks like Google Apps Administration. It usually tells you to log in your Google Admin Console.. People keep logging in and end up going in circles, trying to figure out where to go. I have shared this with many of the bloggers who bought their domain in blogger settings. Log into your Blogger account. Go to your dashboard. Click on your name, the drop down arrow. You will be taken to your Account page. Look in the top right of your page, where you will see your name, 9 dots in a square and your picture like below.Click the dotted square. You will see this! Click More. Once you have clicked Wallet, then click Payment Methods. There you can check your credit card on file to make sure it's up to date. If everything looks good, then you are set and Google will renew your domain for another year. I do recommend going with Godaddy. I always advise bloggers to sign up for multiple years. If you are new to Godaddy, you can buy your domain for $1.18 the first year, providing it is available. Sorry I was away on vacation, so I couldn't visit any blogs this past week. I have some catching up to do. Stay tuned for a post about our trip to Arizona and another Valentine tablescape. You are welcome Debbie. I notice there are quite a few people who are experiencing the same issue. Our vacation was lovely. It's good to be home. I truly hate going through google's menu and trying to find where I need to be. You know my story about renewing each year. I'm glad you are back and had a good time in Arizona! I am glad you were able to get away for awhile-I could see you had a nice trip. So glad you enjoyed your time away! Hi Linda, hope you enjoyed a great vacation and relaxing time away. 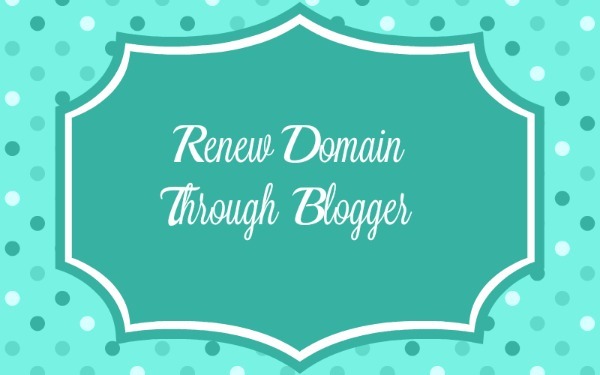 Great info for those renewing domains with blogger. I use GoDaddy and in fact just renewed this morning. They make it easy and quick to update and renew!! I really must use some of your excellent advice to redesign my blog sometime. Nice to pop in to see you and trust you are well.